We are a community coalition united in demanding that the East Side Coastal Resiliency project reflect our needs and values while providing flood protection from the Lower East Side at Montgomery Street to 23rd Street. That includes East River Park and Stuyvesant Cove Park with more than 100,000 people living nearby. We need flood protection to protect our community as soon as possible–including emergency deployable barriers for the 2019 hurricane season. We must have access to sections of the park during construction. 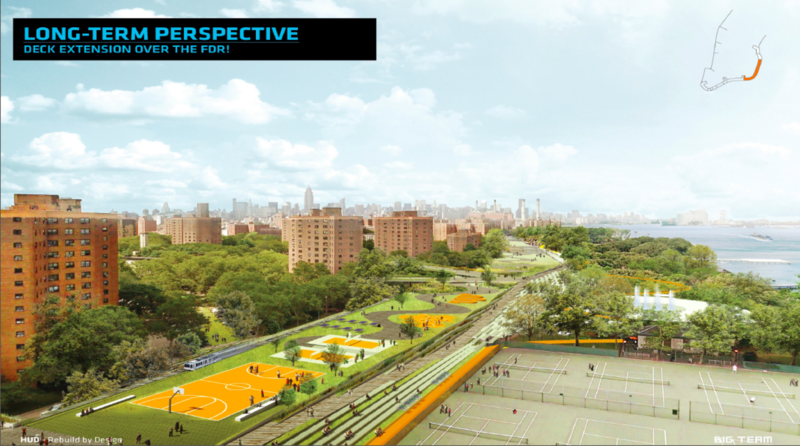 In addition, we must have meaningful alternative park spaces–playgrounds, ballfields, picnic areas, and more green space–during construction. We demand The City returns to a transparent, collaborative, and inclusive process to build a resilient waterfront that meets the diverse needs and values of our community.